Outshine the Competition at Your Job Interview! 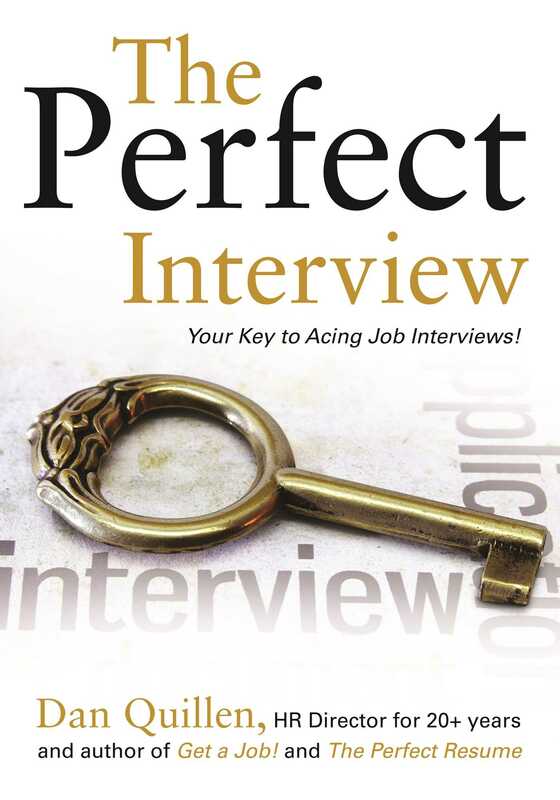 HR Director and "The Perfect Resume" author Dan Quillen shows readers how to prepare for and conduct the perfect interview for job seekers in any field! This is the follow-on book to the author's "The Perfect Resume" book (Spring 2014). Once again, Quillen calls on his expertise as an HR professional (and as one who lost and found a job in the toughest economic environment since the Great Depression) to help his readers understand the New Economy, and how to find work when many cannot. He addresses the things readers need to do to secure an interview, and they will learn the key elements that will put them at the head of the pack of candidates. Chapters include what kinds of questions to expect, including atypical and 'surprise' questions; how to prepare beforehand; how to dress for the big day; things that can ruin an interview; why readers may be getting interviews but not jobs; considerations for recent college grads; how to stay positive; and much more!